Seaplanes have been around for decades as a mode of transportation for people that live on islands, or for tourists sightseeing near places surrounded by water. 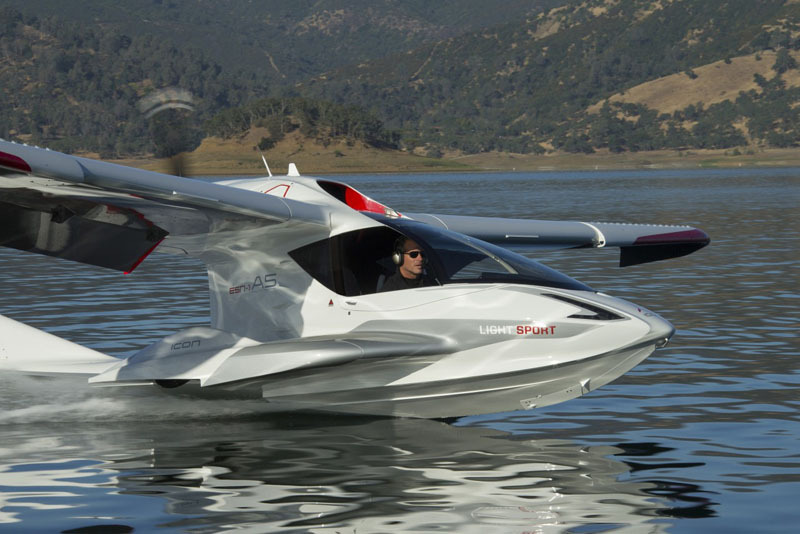 But in recent years, they’ve been getting a lot more fun, thanks to companies like ICON, that have designed a personal seaplane, making them much more accessible to the average person. You can even store them in a garage and take them on road trips by towing the plane on a trailer. Once unloaded from the trailer, the wings fold out and lock into place, becoming the plane. Inside, there’s enough room for two people, with all the controls you expect to find in a regular plane. The plane can reach speeds of up to 109 miles per hour (176 km/h). Of course you need to be trained to fly seaplanes, and ICON has a training school for that.